On 26 June 2017, the Global Initiative presented our research at the International Security Management Association (ISMA) conference in Berlin. 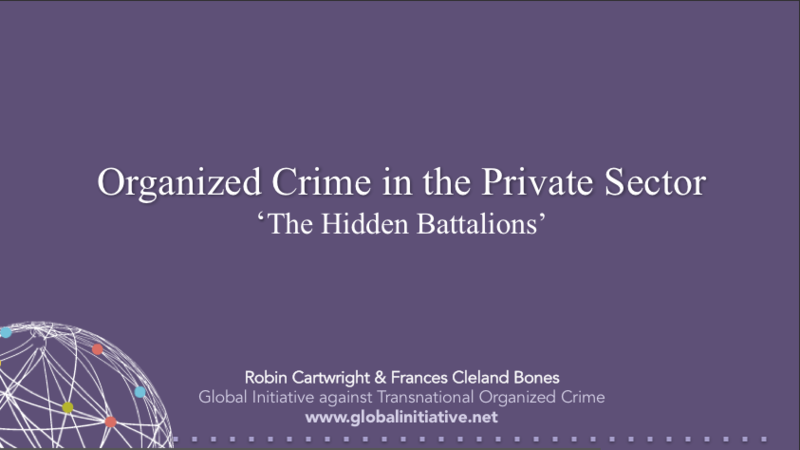 Two different presentations highlighted our work in the area of human smuggling and contemporary migrant trends, and organized crime in the private sector. 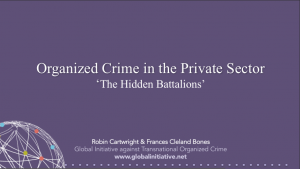 Organized Crime in the Private Sector: “The Hidden Battalions” – by Robin Cartwright, Senior Researcher of the Global Initiative & Frances Cleland Bones. ISMA, founded in 1983, is the premier association of senior security executives from major business organizations worldwide. It is intentionally restrictive in its membership to ensure that members represent only the very highest levels of leadership in the security profession – they must be the most senior security executive from a company that has annual revenue in excess of $1 billion. ISMA currently has 370 Active Members, collectively representing 26 companies in the FTSE 100, DAX and CAC 40, 95 in the Fortune Global 500, 51 in the Fortune 100, and 125 in the Fortune 500. Membership currently spans five continents, incorporating an aggregate employee base of 15 million, and aggregate revenues in excess of $3.5 trillion. As individuals, ISMA members are educated, active, and interested in staying abreast of the latest security developments. Because their jobs place them in policy-making roles, their decisions have far-reaching effects on their companies’ productivity and profitability. ISMA presents an unrivaled forum for the exchange of ideas, practices, and information, and no other organization offers as much in-depth experience in managing and leading security as a business function.